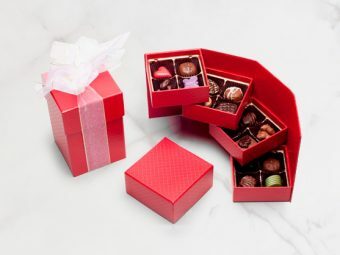 This stunning “NEW” keepsake jewelry box available in red or brown. 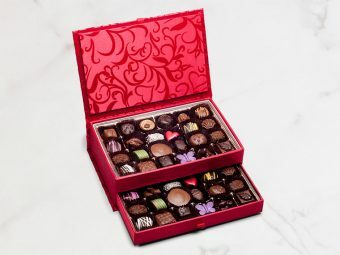 Filled to overflowing with an amazing selection of hand-picked chocolate. 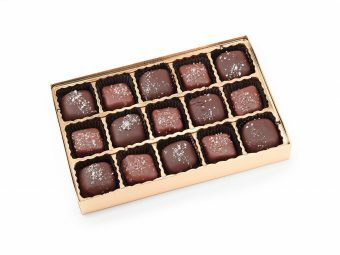 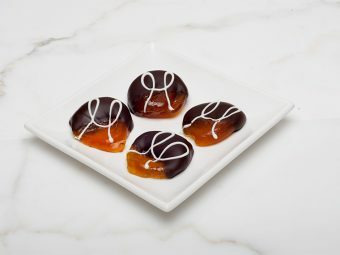 An extraordinary assortment of luscious milk and dark chocolates containing ganache, creams, caramels and nuts.